According the Medical Journal of Australia, up to 80% of Australians will experience back pain at some point in their lives, and 10% will experience significant disability as a result. While everyone’s pain management is individual and requires a personalised treatment plan overseen by professional medical staff, there are a number of simple tools that, when used properly and regularly, can help relieve back pain in the comfort of home at little or no cost. Here are a few I couldn’t live without. Basically, foam rollers allow you to massage just about any part of your body for as long as you want. My pilates teacher encouraged me to use the foam roller to massage my iliotibial (IT) band – the muscle that runs up the side of your thigh from hip to knee. Doing it is uncomfortable, but think of it like the feeling you get while stretching – it should be uncomfortable, but not unbearable, and when you are done it should feel better. I’ve found that doing this twice a day has helped loosen tight muscles in my legs that contribute to lower back and hip pain. It helps relieve my back pain and contributes to faster recovery after exercise or long periods of immobility stuck behind my desk. 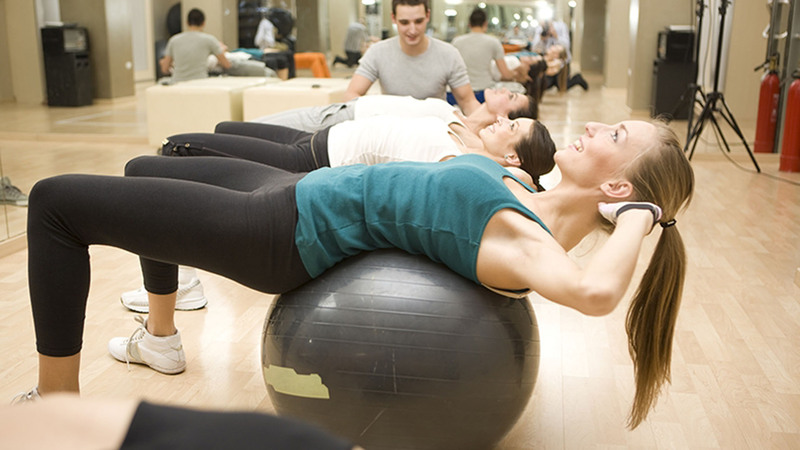 Another recommendation from my pilates instructor that has become part of my daily routine is the spiky ball. The hard rubber spiky ball can be used on the floor or up against the wall, to massage tightly knotted muscles and trigger points. It is particularly good for relieving tight glutes and hips by placing it under your buttocks while lying on the floor and rolling around on sore spots. I also use it against the wall to get into the pectoral muscles under my arms and the muscles in my upper back and shoulders. The Pocket Physio looks like a miniature hard plastic mountain. It is designed to be used on trigger points – specific areas within muscles that tend to knot up and cause increased muscle tightness and referred pain. It’s simple to use: you simply find a tight spot (or trigger point) and use the Pocket Physio to apply pressure, breathing deeply and concentrating on trying to allow the muscle to relax. Its size means the Pocket Physio is portable and you can use it wherever – on a plane or in the office – to quickly and effectively target your trigger points to instantly release tight muscles. For under $10 you can grab yourself a theraband – otherwise known as resistance or yoga bands. These little beauties weigh nothing and take up virtually no space, so they are ideal for travel. The number of different stretches and exercises therabands can be used for is huge, but I use mine simply for stretching my hamstrings. Tight hamstrings are a major contributor to lower back pain. Some people, like me, have naturally shorter, tighter hamstrings that tend to become even more so after exercise, and regular stretching is one of the simplest and most effective ways to alleviate the associated back aches. If you experience back pain, consult a qualified medical practitioner to discuss your own pain management treatment plan.